I have lived away from my hometown, Worcester, longer than I ever lived there! I left home at 18 to go to University in Liverpool and apart from holidays I haven’t lived at home since.You would think by now I would have stopped getting homesick but that simply is not the case. I miss my family, Worcester cathedral, walking down the Shambles, even getting stuck in the one way system! Worcester is currently severely flooded due to the River Severn and the River Teme bursting their banks. The video below shows the extent of the flooding which is shocking. 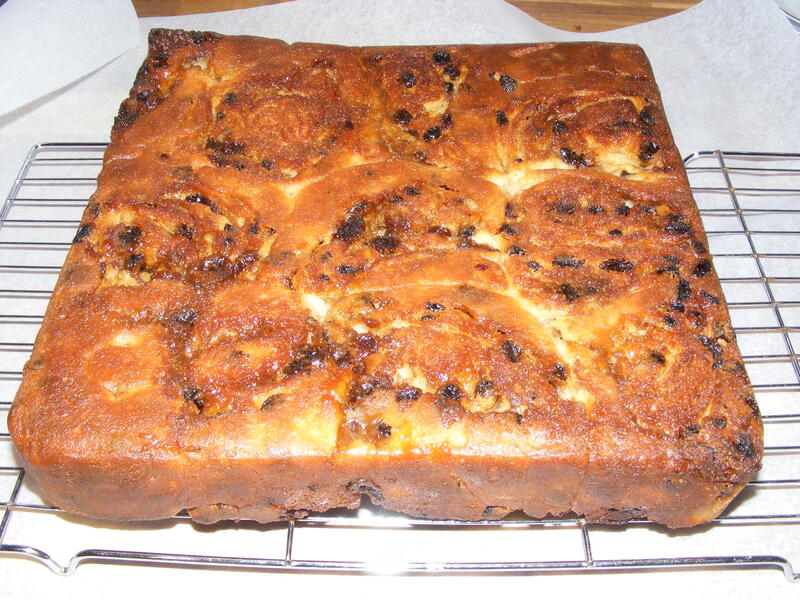 One of the silly things I miss from home is Lardy cake! I was brought up on it. There is a tiny little bakery on Broad Street that make wonderful cottage loaves and the best lardy cake in the entire world! I always buy them when I go home. This recipe is an homage to the lardy cakes from my childhood. They are slightly different from the ones from home because they are baked a little like a Chelsea bun where as the traditional ones are made in huge slabs. They might not look the same but they certainly taste like the lardy cakes I know and love. As the name suggests they are traditionally made with lard but you can just as easily use a vegetable fat alternative such as Trex if you like. If you fancy having a go at making these, do it on a day when you have plenty of time as they need to rest and prove a couple of times. They are not difficult to make, however. Transfer to a greased bowl and cover with oiled cling film. Put somewhere warm and allow to prove for 30 minutes. Knead in the fruit and allow to rest for 10 minutes, covered with the cling film. Mix together the sugar, lard and spice. Roll out the dough into a long rectangle. Spread the filling mixture over 2/3 of the dough. Fold the unfilled 1/3 into the middle and then bring the lower filled 1/3 over the top. Roll out into a rectangle again then roll into a swiss roll shape. Cut into 1 inch chunks, turn them over and place swirl side up into a lined 10 inch square cake tin. Bake in a preheated oven (200C/180C fan/ gas mark 6) for 30 minutes. Check after 20 minutes and cover with foil if it is browning too much. Remove from the oven and turn out immediately onto a cooling rack.